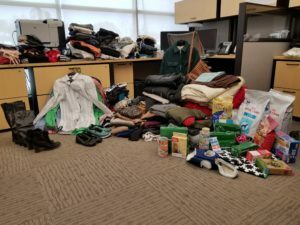 Earlier this week, Towers staff dropped off five large boxes at Siloam Mission, full of clothes, blankets, scarves, toiletries, and outwear donated by Towers Residents and Staff. 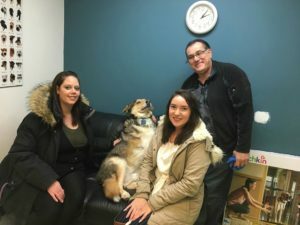 They also dropped off a box of dog and cat food, toys, doggie bags, and more at D’Arcy’s ARC (where they were greeted by D’Arcy’s ARC staff, and the beloved three-legged pooch D’Arnold). This entry was posted in Community, Sidebar News. Bookmark the permalink. Both comments and trackbacks are currently closed.